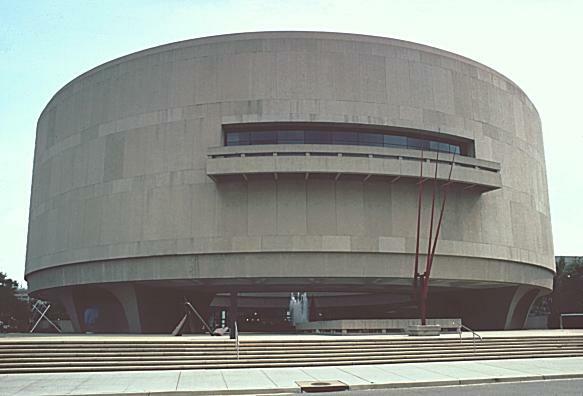 This three-story concrete structure, about 80 feet high and 232 feet in diameter, is supported on four massive concrete piers with staircases, elevators and other services enclosed in them. 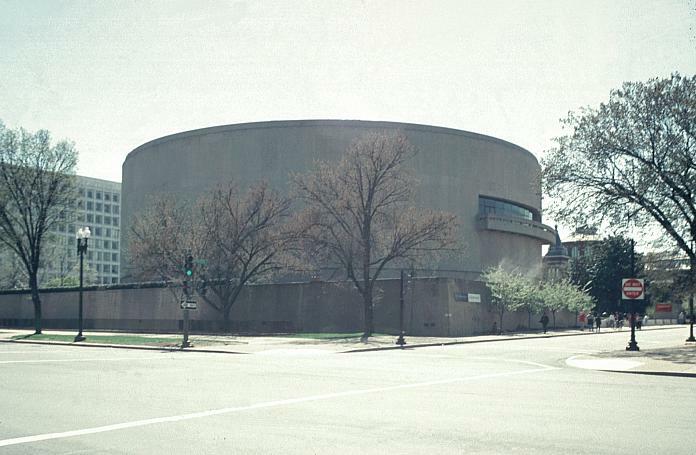 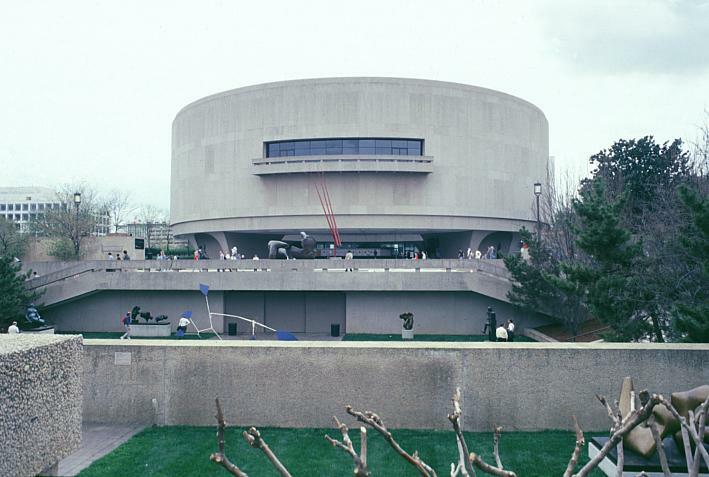 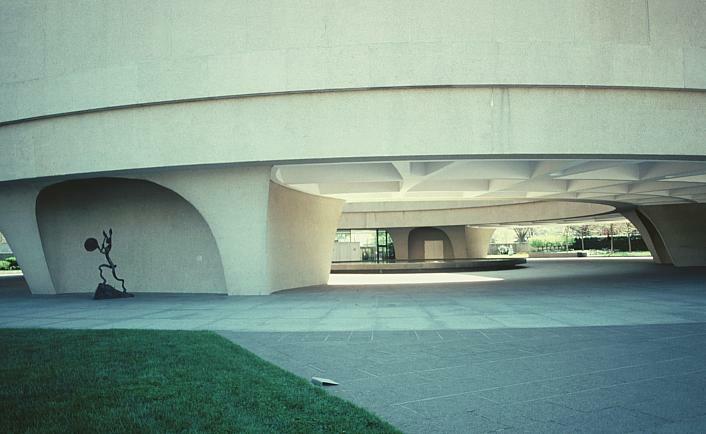 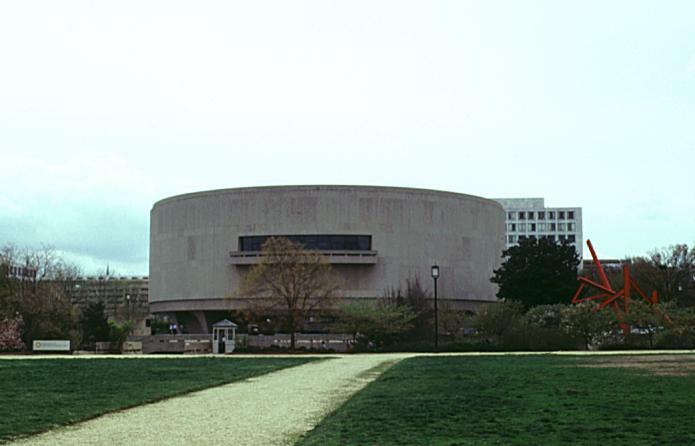 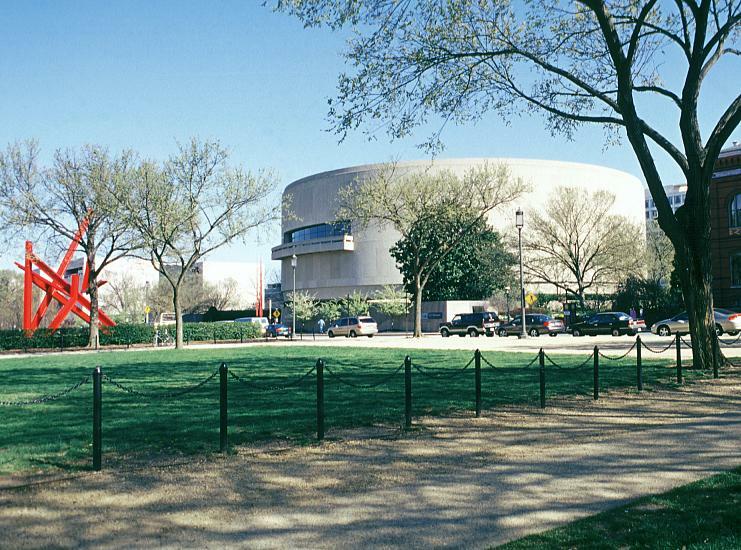 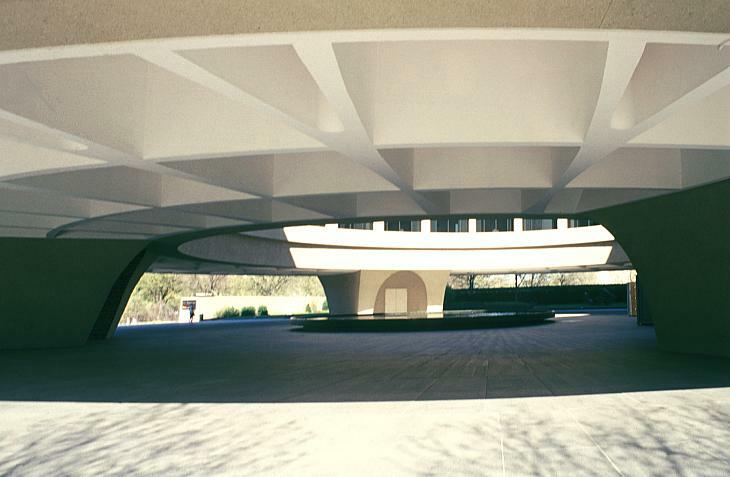 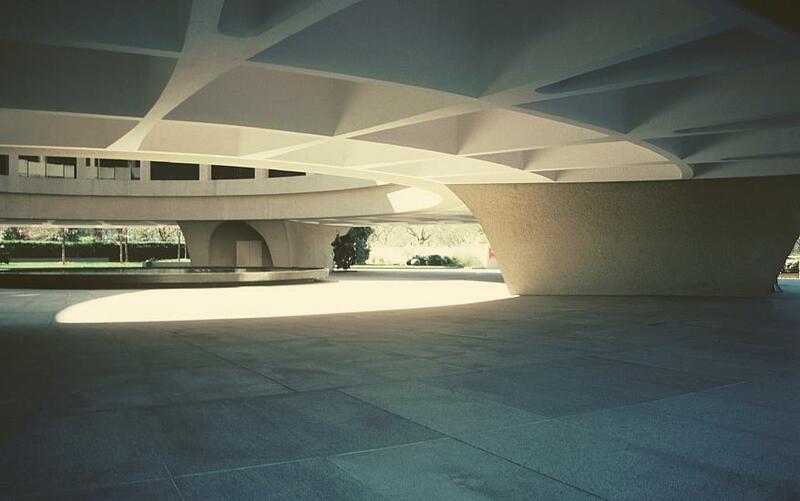 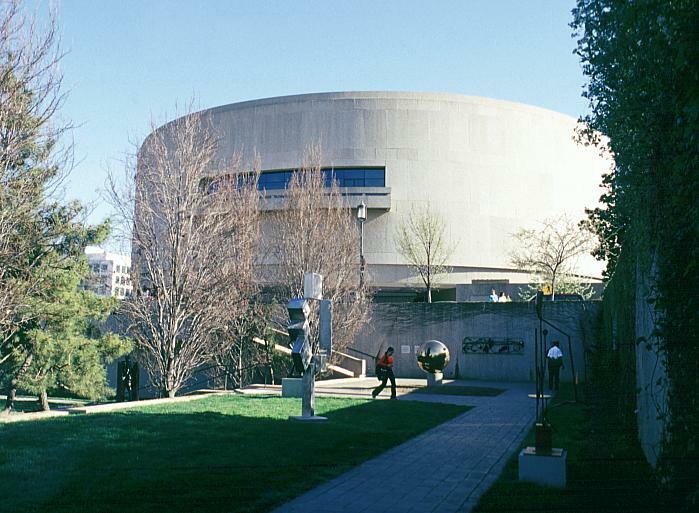 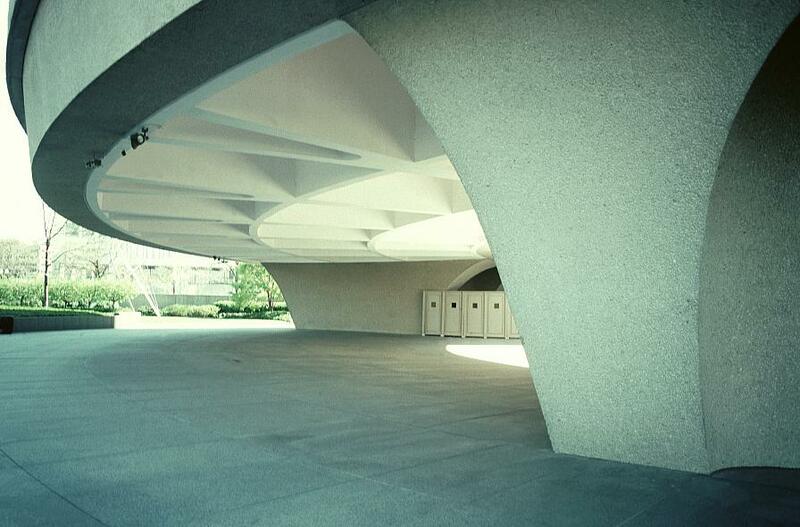 The Hirshhorn Museum is part of the Smithsonian Institute. 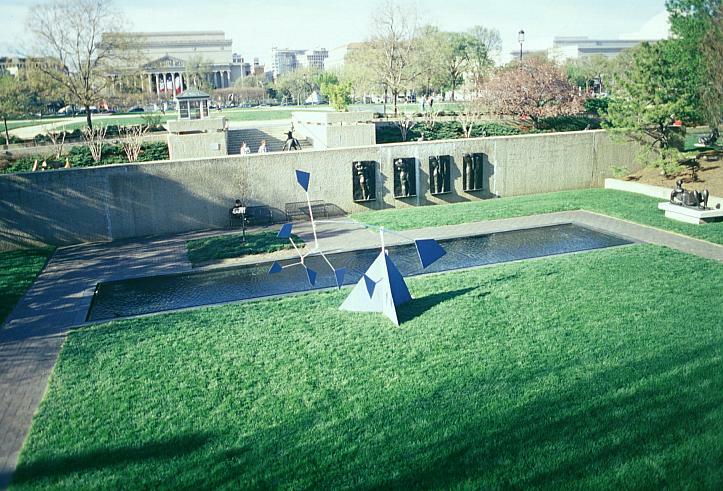 Sculpture is placed around the musuem and a large sculpture garden is across the street to the north. 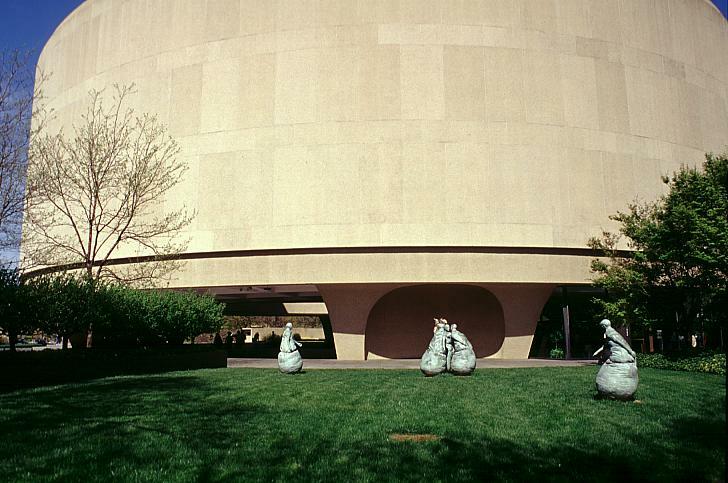 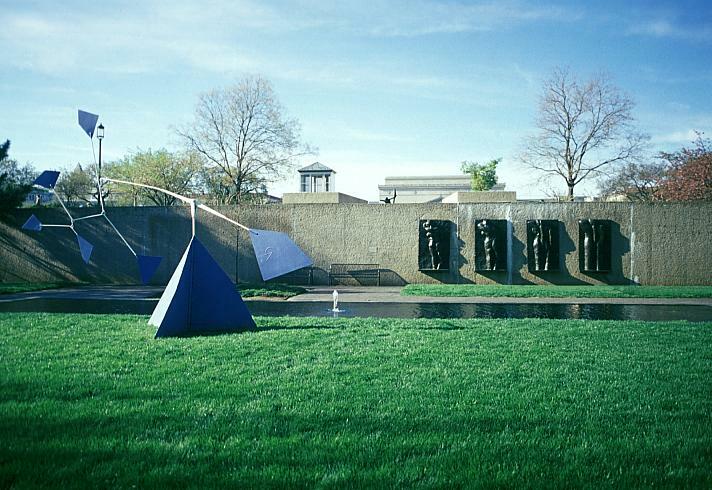 See images of sculpture at the Hirshhorn Museum. 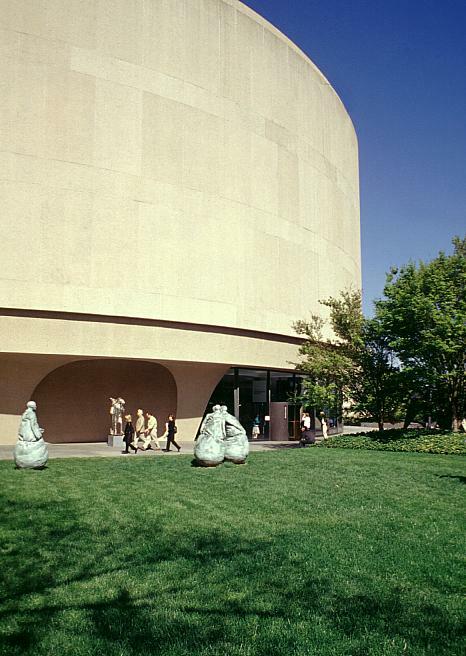 See additional views of Juan Muñoz' Last Conversation Piece (seen on left and center) and Barry Flanagan's The Drummer (seen at right).